This is Fireworks. When we got her I thought she was the scrawniest, ugliest chicken I had ever seen and I found Owen's choice of a name darkly funny. I don't think he meant to be darkly funny. I think he chose "Fireworks" because she was orange and maybe because she looked like she'd just survived an explosion. She's some kind of bantam frizzle and she's very shrill and quick, always racing around and squawking. She was so runty and hideous that I assumed she had to be a loser in all departments, including intelligence. When will I ever learn? All day I've been trying to think of a specific and dramatic example to illustrate Fireworks' cleverness, but it's hard with a chicken. I'll just say that on many occasions I've noticed her snaking a bread crust away from a bigger chicken or chasing off a crow. There is also the fact that she's managed to survive countless bobcat, hawk, and raccoon attacks on the flock. That's no mean feat. At this point, she may be our most senior hen. see how much smaller and homelier? Last night I got home at 10 and went straight down to shut the chickens up in their house. I found Fireworks pacing around in the run, muttering. Odd. All the hens are usually inside well before dark. Had she forgotten how to climb the ladder to the door? I picked her up, popped her inside the house, shut the door. The door doesn't close cleanly and I fumbled with the lock for a nanosecond and when I couldn't get the rod to go through the slot, gave up because it was dark and I figured it wasn't a big deal. This is called cutting corners. I turned around to leave when -- BOOM -- the door flew open and Fireworks and the other bantam, Birthday, came screaming down the ladder. Slithering after them came a skunk. The skunk promptly sprayed and vanished into the night. My point is this: freaky little Fireworks was the only hen smart enough to leave the house when that skunk turned up earlier in the evening. All the rest of the hens were up there thinking the skunk might be too full after eating all their eggs (which he had) to bother eating them. More likely, they weren't thinking at all. But Fireworks? So on the ball. Of course, most of the hens were roosting on a pole a few feet above the skunk and because Fireworks doesn't roost she was in a particularly vulnerable position. But Birthday doesn't roost either and she was just hanging out with the skunk. Frankly, I think any hen, roosting or not, would have been wise to make herself scarce when that skunk appeared. As Brad Pitt said in World War Z, "Movement is life." Or something like that. The other point is that sometimes you're rewarded for laziness. If I'd taken two seconds to actually lock the door like I knew I should, the skunk would have been trapped in the hen house all night and Lord only knows what I would have found in there this morning. I just made this roasted broccoli with smoked paprika and almonds for dinner. It is fabulous and easy and you should try it. The anticipation in this post was incredible. That smart little chicken. Way to prove Werner Herzog wrong, Fireworks. Go, Fireworks! And thank you, Jennifer, for reminding me why I decided to not keep chickens. The gruesome black bear attack on a friend's coop is a distant memory, but you reminded about the time a skunk sprayed my neighbor's coop and despite being more than an acre away we smelled it all through a family reunion BBQ. We don't have black bears. That's the only predator we don't have. So, did you get sprayed? If so, my family swears by tomato juice. Jennifer, you need to trust this chicken! She is a runt and has learned to cope. She sounds like she has keen observational skills. Isn't it funny how we hesitate to trust an animals instincts? One of my dogs always knows when it is storming within 150 miles, no kidding, but I often ignore him, to my chagrin. This was the best story, and you are a great storyteller! No! I did not get sprayed. And I was thinking later, maybe the other chickens knew what they were doing, too. Maybe their ancestors learned that if you are very still and quiet predators will leave you alone and go after the jumpy little runt. She looks like I feel after spending the day at a theme park in 90 degree heat and 150 degree humidity!! BTW I am glad you are back!! I can't figure out why her face is so red. I have the new Food52 cookbook. I hope they continue to publish annually. 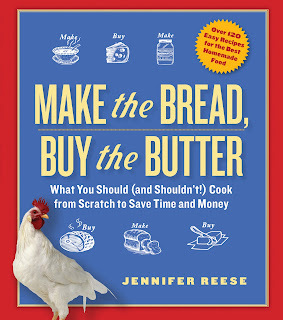 It is helping me to get over the loss of the Best American Recipes series. Here is a recipe from our vet for skunk deoderizer: 1 quart hydrogen peroxide, 1/2 cup baking soda, 1-2 tablespoons Dawn dishwashing liquid. It worked well enough on the dog that he could sleep in the house that night. This is not a comment on your current post, but a thank-you for bringing The Homesick Texan into my life. I am a homesick Texan (not missing Texas, but definitely the food), and I have been happily cooking my way through the book. I didn't think I needed another Texas cookbook, but this is my favorite. Fortunately I did not get sprayed, but it is only a matter of time. We've had a dozen close skunk encounters this spring/summer. I'm glad you're liking Homesick Texan! What an awesome-looking hen! I knew skunks would eat eggs, but I didn't realize they might kill a chicken. p.s. I think you meant its not it's. Mortifying. And in the headline. Thank you. Supposedly skunks will not eat a whole chicken, but kill several at once and gnaw on their heads. Internet reports vary. I love this post! Honestly, your chicken/skunk/goat/bobcat writing abilities are unsurpassed! I would make that roasted broccoli tonight except my A/C is kaput...the recipe is by my friend Arielle (she's from Austin so I know she knows the value of A/C)...so it's broccoli slaw, and BBQ chicken (sorry Fireworks). Hmm, it's too hot to be roasting anything but I might try this on the grill (broccoli roasting in grill pan) -- that would give the same effect, right? I'm glad Fireworks has survived to see another Fourth of July and I'm especially glad you have a chicken survival story to share to counterbalance the bobcat/neighbor dog atrocities. We had our neighborhood raccoons come back and fight each other on a nightly basis until each and every cherry was gone from our cherry tree. I hate those raccoons so much. My neighbor has chickens and I have NO idea how she keeps them alive with those jerks around. I'm glad your health scare was just a scare. Wow. Trust the wisdom of the scrawny chicken, indeed. I gather you were not actually sprayed by the skunk, thank goodness. I share my piece of suburbia with a lot of wildlife. A major skunk trail goes through my yard, and deer frolic around the neighborhood at all hours. We have foxes, but no bobcats. I have no livestock, but I have a very chewed garden. All these beasties are only cute when they're not eating my peas. Oh my gosh! That chicken is adorable! My grandmother has three chickens, two rhode island reds and a white leghorn. I'm getting 6 chickens, a white sultan, a silkie, an easter egger bantam, a blue splash Maran, welsummer bantam, and a mille fluer bantam. I'm so excited, and I love your book! I just discovered your blog and I already have a writerly crush of sorts on you! You are hilarious.